We’ve named the 26 postures series to reflect YogaSpa’s approach to teaching this classic sequence. 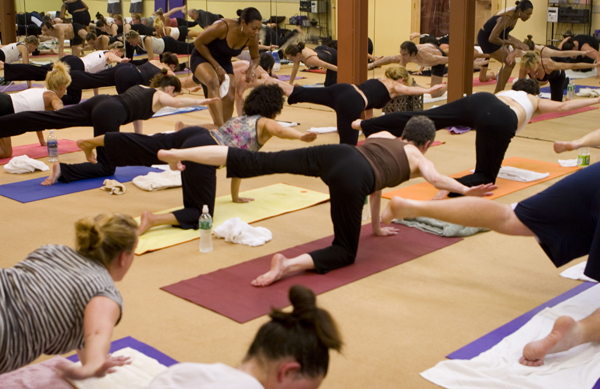 We realize that many Bikram classes abound but our strength lies in that we teach BEYOND the script. We not only teach you the 26 postures, we teach, in detail, how to get there, what muscles to focus on, breathing techniques and the like. In short, we REVEAL THE SECRETS to the very important alignment principles of these familiar 26 postures. Therefore, we teach Beyond Bikram. The benefits of our in depth teachings of the sequence combined with the heat, strengthens and detoxifies your body through a balance of deep stretching and strengthening asanas. Beyond Bikram will relieve neuromuscular tension, stimulate your organs, glands and nervous system and move fresh oxygenated blood through your entire body, restoring all body systems to a healthier working order. This is an excellent class for beginners. A fusion of muscle building postures, core specific routines, delicious heat and much needed stretching, developed by Jacqui to strengthen your body, sharpen your mind, and soften your spirit. Combined with keen wit, knowledgeable body alignment and a hands-on style, you will be motivated to your maximum with a variety of push ups, challenging postures, heat building sequences and fast-paced action, all designed to give you a vigorous full body workout that addresses all major muscle groups. Come and increase your stamina, work hard, sweat, laugh and burn calories galore! 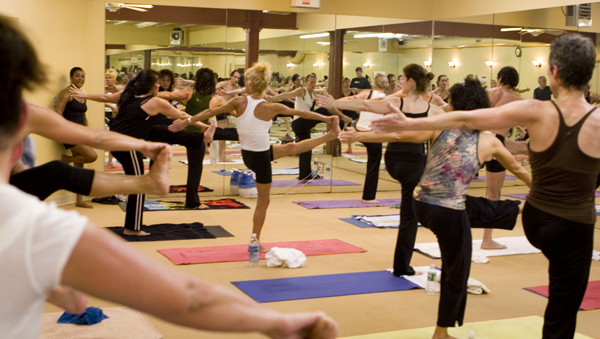 An open level Yoga class performed in a heated room. Style and instructor may vary. This class is $10. Here you get to take the “WORK” out of “WORKOUT!” Whether yo want to learn a hot new dance routine or simply move to the beat of the music, this amazing new dance sensation will have you burnin’ up the dance floor and BURNING OFF THE CALORIES! From your very first class, you’ll feel the beat and contagious energy and most of all you will SWEAT as you learn the hottest dance routines step-by-step. It’s so fun, so addicting, you’ll forget that you are getting an amazing TOTAL BODY CARDIO WORKOUT! Bring your gently worn sneakers, join in, have fun and get ready to CiZE IT UP! Flow31 is an exclusively designed by Jacqui as a set of 31 asanas linked together by a non-stop, core shredding, muscle strengthening, hot vinyasa flow, designed for all fitness levels. The combination of choreographed sequences maximizes strength, flexibility and endurance while challenging your mind, body and spirit. All students are welcome but some experience or those looking for a challenge will be well paired with this class. Traditional 5 breath hold postures and an anatomically sequenced flow will work to open the body in a way that is safe fun and progressive. Sinda explores and introduces fun intermediate and foundational poses and works with traditional and non-traditional flowing transitions. Sweat; stretch; get addicted and progress mentally and physically. Type A’s welcomed with open sweaty arms! This is the heart of what Sinda is famous for teaching- just turning up the heat! Join this Celebrity Yoga Teacher who has won Winner of Best Yoga Teacher from Westchester Magazine from 2013-2015 and see what everyone is raving about! Open to all students, this one hour vinyasa flow class is moderately paced yet mindful class, taught with intelligent cues and progressively sequenced postures that are linked to the breath. It’s fluidity and multi-leveled sequencing encourages beginners and intermediate practitioners alike to develop more body awareness with foundational postures, while offering, variations and challenging options to advanced practitioners. Students will feel invigorated and leave with a sense of wholeness, whatever their skill level or range of motion. Still traditional in its roots this class begins with a centering and Sun Salutations. Expect a vigorous heated flow where some poses will not be held for less than the traditional 5 breaths and others with a focus on strength and power to be held for longer than 5 breaths. Sculpt; Strengthen and Sweat your asana off. It’s always a good time with Sinda. Upbeat and inspiring music will keep you in your zone along with Sinda’s motivation and encouragement! This class will end with a luxurious deep relaxation and will conclude with Nadi Sudhi breath work to allow practitioners to leave feeling balanced! Want a challenge? Come get some! 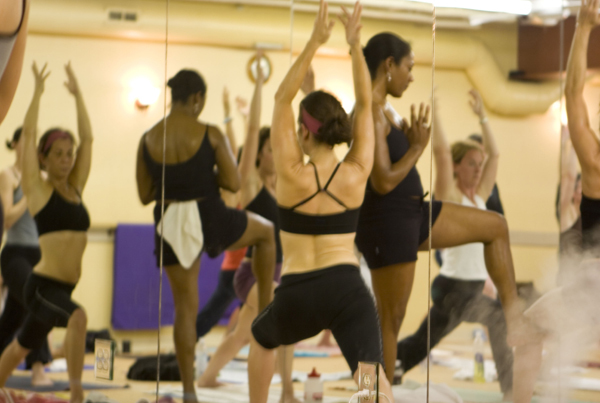 This is an open level class.This flexible flow explores more complex poses, arm balances and inversions. 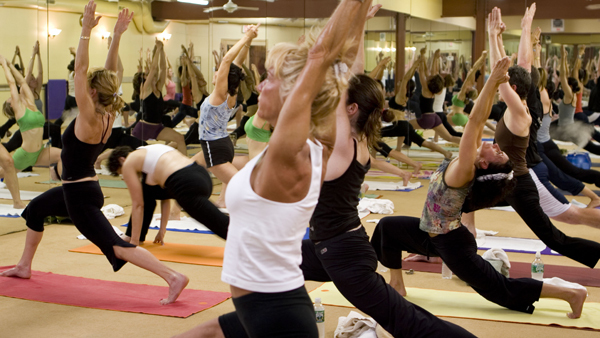 This class will exhilarate those students who desire a more advanced Vinyasa sequence. This open level class is your perfect early-morning ritual that will take you from sleepy and stiff to open and ready to meet the day. Previous experience is recommended since the class is led by an instructor and students follow the sequence in silence while listening to various music selections. Classes are practiced in a warm room. 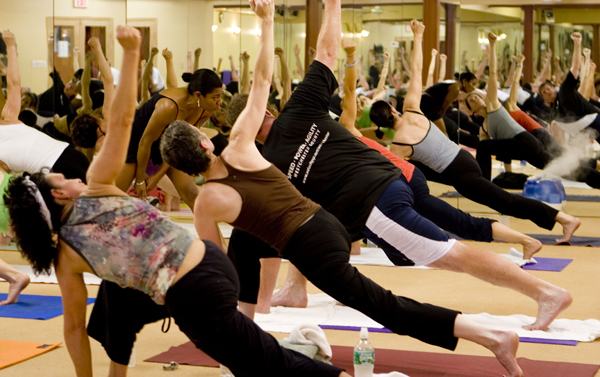 A warm gentle flow yoga class which awakens and warms and energizes the body in a comfortable flowing sequence that deepens the connection between breath and movement. Accessible to beginners through advanced students, this class will soothe your soul, lift your spirits and stimulate your pulse. A delightful and liquid flowing movement, spiced with advanced postures and sequencing. This class is designed for students who have a consistent practice and are comfortable with a challenging and non-stop class.